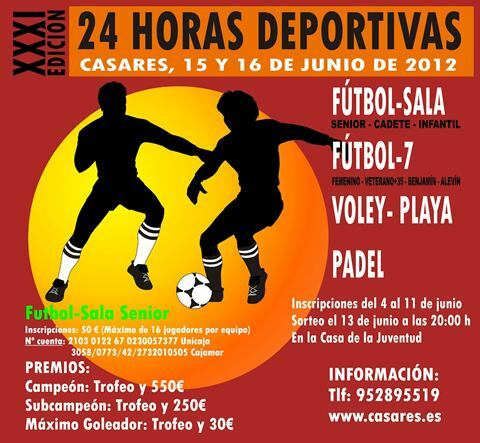 Casares will host the 31st edition of 24 hours of sport this weekend, June 15 and 16, staging two days of indoor football, football 7, paddle tennis and beach volleyball competitions with different categories. The main event of this tournament is 24 hours of senior indoor football, the only one with a registration fee, 50 euros per team, and is also the only one with cash prizes, 550 € for the winning team , 250 € for the runner-up and 30€ for the top scorer. 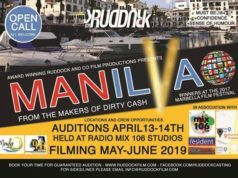 Teams from various surrounding towns usually enter the competition, including Estepona, Manilva, Jimena, Tesorillo, Casares and El Secadero, as well as other towns on the Costa del Sol and Campo de Gibraltar. 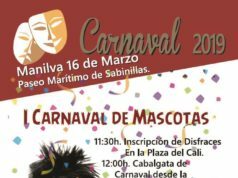 Participation in this edition is limited to 16 teams, who will compete in the sports center in Casares from Friday evening to Saturday evening. In addition, there are indoor football championships for juniors and cadets,and Football-7 for veterans (over 35 years), teenagers, infants and women, which began last year with a large number of participants. Casares 24 hour sports will also host a paddle tennis tournament on the football pitch, and a 2-a-side beach volleyball tournament on Playa Ancha. Except for senior indoor football, all registrations are free, with trophies for the winners and runners up in all competitions.